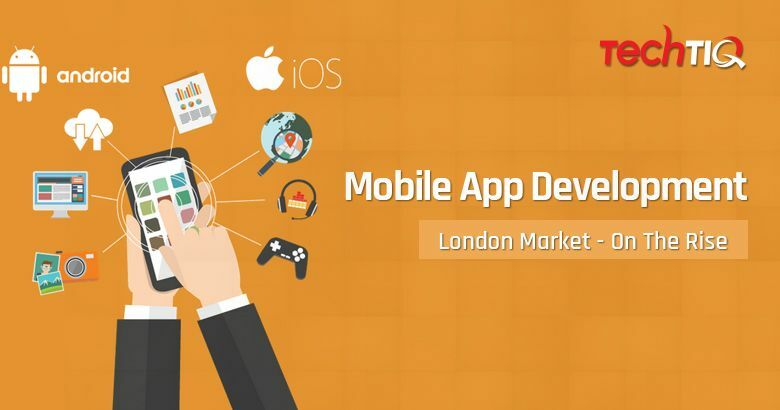 LONDON - Sept. 29, 2018 - PRLog -- The demand for mobile app development is on the rise here in the UK and seems to be proliferating in the years to come. The biggest stakeholders for the change are these three cities: London, Edinburgh, and Birmingham! These three cities are spearheading the UK's claim to the title of IT hub of Europe. Many entrepreneurs, businessmen, and corporate houses have shown their interest in having their own mobile app! Mobile apps are online or offline software apps that are entitled to run on smart mobile phones, and tablets. There are thousands and thousands of mobile apps available on app stores be it Google Play or Apple App Stores. Mobile apps make mobile app users addictive about them. By the year 2020, mobile apps in total are predicted to generate a revenue of around $ 189 billion courtesy app stores and related advertising. TechTIQ is a UK based mobile app design & development agency. We deliver a full range of mobile solutions that focus on our client's objectives. Our offerings include all of the traditional aspects of mobile app design and mobile app development with an emphasis always being on helping the clients to meet their expectations. Our team is an experienced set of professionals have developed many mobile apps for a wide range of business sectors and hence our research is specific and precise for every project. If you are in search of an innovative, results-oriented, the UK based mobile app design and development agency then we will be delighted to hear from you. Businesses approximately spend $2 trillion on digital transformation by 2022! Why a Website Revamp Can Bring in The Positive Change That Your Business Needs? Is Brexit the effect of Facebook data leak?